For more information about this Mount Laurel office space for lease at 112 W. Park Drive, Mount Laurel, NJ or about other Mount Laurel commercial properties for sale or lease, please contact WCRE at 856-857-6300 at Wolf Commercial Real Estate, a Mount Laurel commercial real estate broker. Wolf Commercial Real Estate, a full-service CORFAC International brokerage and advisory firm, is a premier Mount Laurel commercial real estate broker that provides a full range of Mount Laurel commercial real estate listings and services, property management services, and marketing commercial offices, medical properties, industrial properties, land properties, retail buildings and other Mount Laurel commercial properties for buyers, tenants, investors and sellers. Please visit our websites for a full listing of Mount Laurel commercial properties for lease or sale through our Mount Laurel commercial real estate brokerage firm. Wolf Commercial Real Estate, a premier Mount Laurel commercial real estate brokerage firm with expertise in Mount Laurel commercial real estate listings and services, is now offering Mount Laurel office space for sale at 103 Fairway Terrace Mount Laurel NJ. 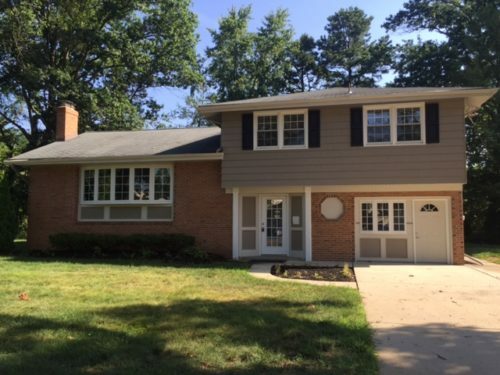 This Mount Laurel professional office space for sale is ideal for many types of office uses. This Mount Laurel office building for sale has 3,400 square feet of professional office space for sale in Mount Laurel. The asking sale price for this professional office space in Mount Laurel is $495,000 and this Mount Laurel office building at 103 Fairway Terrace Mount Laurel NJ is in a private office park with great accessibility. This Mount Laurel professional office space for sale is available through Wolf Commercial Real Estate, a Mount Laurel commercial real estate broker that specializes in Mount Laurel commercial real estate listings and services. This professional office space for sale in Mount Laurel has a well-maintained interior and exterior. While this Mount Laurel office space is situated directly off Route 73, this Mount Laurel professional office space is close to I-295 and the New Jersey Turnpike. This professional office space in Mount Laurel is near multiple retail shops, restaurants, and professional businesses. In addition, there are residential developments near this Mount Laurel office space for sale. 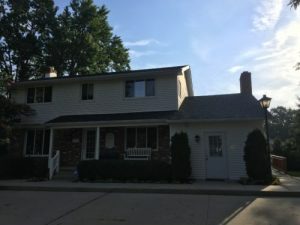 This Mount Laurel professional office space for sale is being brokered through Wolf Commercial Real Estate, a Mount Laurel commercial real estate brokerage firm with expertise in Mount Laurel commercial real estate listings and services. There are 15 parking spaces at this professional office space for sale in Mount Laurel and this Mount Laurel office building for sale at 103 Fairway Terrace Mount Laurel NJ is fully built out with open bullpen areas, an executive office, and several other offices. This Mount Laurel office building for sale also includes a large conference room and a large kitchen/break area. More than 194,000 residents live within a five-mile radius of this professional office space for sale in Mount Laurel and the average household income in the same area is $107,585. This Mount Laurel office building for sale includes furniture, fixtures, and equipment. For more information about this Mount Laurel office space for sale at 103 Fairway Terrace Mount Laurel NJ or about other Mount Laurel commercial properties for sale or sale, please contact Christopher R. Henderson (856-857-6337; chris.henderson@wolfcre.com) at Wolf Commercial Real Estate, a Mount Laurel commercial real estate broker. Wolf Commercial Real Estate, a leading Mount Laurel commercial real estate broker that specializes in Mount Laurel commercial real estate listings and services, now has Mount Laurel office space for sale or lease available in the Ramblewood section of the township at 105 Fairway Terrace and 107 Fairway Terrace. Located just off the southern end of Ramblewood Parkway just off Route 73, this professional office space for sale or lease in Mount Laurel consists of two buildings, one for sale and the other for sale or lease. The Mount Laurel office building for sale or lease at 107 Fairway Terrace Mount Laurel NJ offers +/- 2,657 sf (including storage area) of professional office space for sale or lease in Mount Laurel. Conversely, the Mount Laurel office building for sale or lease at 105 Fairway Terrace Mount Laurel NJ has +/- 2,272 sf (including storage area) of professional office space for sale in Mount Laurel. 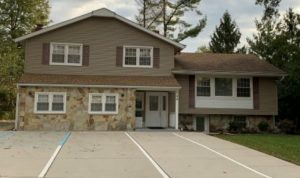 The asking lease price for the office space in Mount Laurel NJ at 107 Fairway Terrace is $2,750 per month – gross plus utilities and janitorial while the asking sale price for this same Mount Laurel professional office space is $285,000. This professional office space for sale or lease in Mount Laurel is newly renovated. Meanwhile, the asking sale price for this Mount Laurel professional office space for sale at 105 Fairway Terrace is $325,000. Both Mount Laurel office buildings for sale or lease are located in a cul-de-sac just behind the Ramblewood Shopping Center. This Mount Laurel professional office space for sale or lease is now available for immediate occupancy through Wolf Commercial Real Estate, a Mount Laurel commercial real estate brokerage firm with expertise in Mount Laurel commercial real estate listings and services. There is ample parking available at this Mount Laurel office space for sale or lease and there is signage available as well for these Mount Laurel office buildings for sale or lease. This Mount Laurel professional office space for sale or lease is ideal for many uses and these Mount Laurel office buildings for sale or lease ae within close proximity to I-295 and the New Jersey Turnpike and within minutes of Philadelphia. 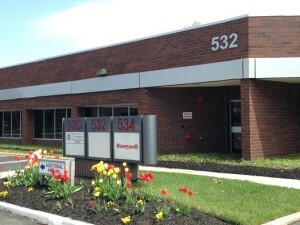 More than 197,000 people reside within a five-mile radius of this Mount Laurel professional office space for sale or lease that is being offered by Wolf Commercial Real Estate, a Mount Laurel commercial real estate broker that specializes in Mount Laurel commercial real estate listings and services. In addition, the average household income in that same five-mile radius of this Mount Laurel office space for sale or lease is $108,166. For more information about this Mount Laurel office space for sale or lease at 105 Fairway Terrace Mount Laurel NJ and 107 Fairway Terrace Mount Laurel NJ or about other Mount Laurel commercial properties for sale or lease, please contact Christopher R. Henderson (856-857-6337; chris.henderson@wolfcre.com) at Wolf Commercial Real Estate, a Mount Laurel commercial real estate brokerage firm. Wolf Commercial Real Estate is a premier Mount Laurel commercial real estate broker that provides a full range of Mount Laurel commercial real estate listings and services, marketing commercial offices, medical properties, industrial properties, land properties, retail buildings and other Mount Laurel commercial properties for buyers, tenants, investors and sellers. Please visit our websites for a full listing of Mount Laurel commercial properties for sale or lease or sale through our Mount Laurel commercial real estate brokerage firm. Wolf Commercial Real Estate, a premier Mount Laurel commercial real estate brokerage firm that specializes in Mount Laurel commercial real estate listings and services, is now representing prime Mount Laurel office space for lease at 530 Fellowship Road Mount Laurel NJ. This Mount Laurel office building for lease offers 5,668 sf of professional office space in Mount Laurel. Locally owned and managed, this Mount Laurel professional office space for lease is outfitted with customized office suites. The asking lease price for this professional office space in Mount Laurel at 530 Fellowship Road Mount Laurel NJ is $12.00/SF NNN. This Mount Laurel professional office building for lease is available for immediate occupancy by contacting Wolf Commercial Real Estate, a Mount Laurel commercial real estate broker with expertise in Mount Laurel commercial real estate listings and services. This Mount Laurel professional office space for lease is near hotels, restaurants, retailers, and banks. There is easy access to Route 73, I-295, and the New Jersey Turnpike from this Mount Laurel office building for lease at 530 Fellowship Road Mount Laurel NJ. 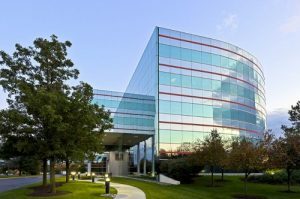 The Westin, Doubletree and Aloft hotels are nearby this Mount Laurel professional office building for lease. This Mount Laurel office space for lease features monument and tenant suite signage. This Mount Laurel professional office space for lease is available through Wolf Commercial Real Estate, a Mount Laurel commercial real estate brokerage firm with expertise in Mount Laurel commercial real estate listings and services. There is abundant parking at this Mount Laurel professional office building for lease and an average of more than 46,000 vehicles per day pass by this Mount Laurel office building for lease for lease at 530 Fellowship Road Mount Laurel NJ. More than 180,000 people reside within a five-mile radius of this Mount Laurel office space for lease and the average household income in that same radius of this professional office space in Mount Laurel is more than $105,000 a year. For more information about this professional office space in Mount Laurel at 530 Fellowship Road Mount Laurel NJ, or about any other Mount Laurel commercial properties for sale or lease, please contact Jason Wolf (856-857-6301; jason.wolf@wolfcre.com) or Christopher Henderson (856-857-6337; chris.henderson@wolfcre.com) at Wolf Commercial Real Estate, a Mount Laurel commercial real estate broker. Wolf Commercial Real Estate is a leading Mount Laurel commercial real estate broker that provides a full range of Mount Laurel commercial real estate listings and services, marketing commercial offices, medical properties, industrial properties, land properties, retail buildings and other Mount Laurel commercial properties for buyers, tenants, investors and sellers. Please visit our websites for a full listing of Mount Laurel commercial properties for lease or sale through our Mount Laurel commercial real estate brokerage firm. Wolf Commercial Real Estate, the leading Mount Laurel commercial real estate brokerage firm that specializes in Mount Laurel commercial real estate listings and services, is offering prime Mount Laurel office space for lease in the Mount Laurel Office Center at 532 Fellowship Road Mount Laurel NJ. This Mount Laurel professional office space consists of a series of customized office suites and tenants also will find an on-site management team at this Mount Laurel office building for lease. In addition, this Mount Laurel professional office space for lease is locally owned. The asking lease price for this professional office space in Mount Laurel is $12.00/SF NNN. This Mount Laurel professional office space for lease is being offered for immediate occupancy through Wolf Commercial Real Estate, a Mount Laurel commercial real estate broker with expertise in Mount Laurel commercial real estate listings and services. This Mount Laurel office space for lease in the Mount Laurel Office Center at 532 Fellowship Road Mount Laurel NJ features three suites, all of which are contiguous, which adds up to a total of 8,625 square feet of professional office space in Mount Laurel. Suite 1 of this Mount Laurel office space for lease in the Mount Laurel Office Center at 532 Fellowship Road Mount Laurel NJ is 2,751 sf while Suite 2 of this Mount Laurel professional office building for lease consists of 2,645 sf. Suite 3, which contains a theater-style conference room, has 2,571 sf of Mount Laurel office space for lease. Located across from the Westin and Doubletree hotels and adjacent to the Aloft hotel, this Mount Laurel professional office space for lease also is near Miller’s Ale House and Starbucks. Tenants have access to both monument and tenant suite signage at this professional office space in Mount Laurel that is available through Wolf Commercial Real Estate, a Mount Laurel commercial real estate brokerage firm with expertise in Mount Laurel commercial real estate listings and services. There also is ample parking, with a ratio of 9/1,000 sf at this Mount Laurel professional office space for lease. For more information about this Mount Laurel office space for lease in the Mount Laurel Office Center at 532 Fellowship Road Mount Laurel NJ or about any other Mount Laurel commercial properties for lease, please contact Jason Wolf (856-857-6301; jason.wolf@wolfcre.com) or Chris Henderson (856-857-6337; chris.henderson@wolfcre.com) at Wolf Commercial Real Estate, a Mount Laurel commercial real estate broker that specializes in Mount Laurel commercial real estate listings and services. Wolf Commercial Real Estate is the foremost Mount Laurel commercial real estate broker that provides a full range of Mount Laurel commercial real estate listings and services, marketing commercial offices, medical properties, industrial properties, land properties, retail buildings and other Mount Laurel commercial properties for buyers, tenants, investors and sellers. Please visit our websites for a full listing of Mount Laurel commercial properties for lease or sale through our Mount Laurel commercial real estate brokerage firm. Wolf Commercial Real Estate, a premier Southern New Jersey commercial real estate broker with expertise in Mount Laurel commercial real estate listings and services, is pleased to offer leasing opportunities for well-located Mount Laurel office space for lease in the Horizon Corporate Center at 3000 Atrium Way Mount Laurel NJ. The Mount Laurel office building for lease that features this professional office space in Mount Laurel is in a beautifully landscaped corporate office park. There is one suite currently available on the first floor of this Mount Laurel office space for lease in the Horizon Corporate Center at 3000 Atrium Way Mount Laurel NJ and it consists of 7,184 square feet of Mount Laurel office space for lease. The asking lease price of this professional office space in Mount Laurel is $12.00-$13.00/sf NNN. 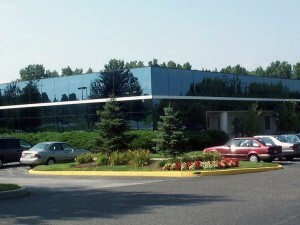 This Mount Laurel office space for lease in the Horizon Corporate Center at 3000 Atrium Way Mount Laurel NJ is available for immediate occupancy through Wolf Commercial Real Estate, a Southern New Jersey commercial real estate brokerage firm that specializes in Mount Laurel commercial real estate listings and services. This Mount Laurel office building for lease is locally owned and managed. This professional office space in Mount Laurel has a new exterior façade and there is an on-site luncheonette in this Mount Laurel office building for lease. This professional office space in Mount Laurel provides tenants with a lobby directory and suite signage and, at a ratio of 4.00/1,000 sf, parking is plentiful at this Mount Laurel office space for lease. This Mount Laurel office space for lease in the Horizon Corporate Center at 3000 Atrium Way Mount Laurel NJ is now available for immediate lease through Wolf Commercial Real Estate, a Southern New Jersey commercial real estate broker with expertise in Mount Laurel commercial real estate listings and services. The Mount Laurel office building for lease containing this professional office space in Mount Laurel is easily accessible to Routes 73, 70, 38, I-295 and the New Jersey Turnpike. In addition, the Mount Laurel office space for lease that can be found inside this Mount Laurel office building for lease is surrounded by various hotels, restaurants, and retailers. For more information about this Mount Laurel office space for lease in the Horizon Corporate Center at 3000 Atrium Way Mount Laurel NJ, or about any other Mount Laurel commercial properties for sale or lease, please contact Jason Wolf (856-857-6301; jason.wolf@wolfcre.com) or Leor Hemo (856-857-6302; leor.hemo@wolfcre.com) at Wolf Commercial Real Estate, a leading Southern New Jersey commercial real estate brokerage firm. Wolf Commercial Real Estate is the foremost Southern New Jersey commercial real estate broker that provides a full range of Mount Laurel commercial real estate listings and services, marketing commercial offices, medical properties, industrial properties, land properties, retail buildings and other Mount Laurel commercial properties for buyers, tenants, investors and sellers. Please visit our websites for a full listing of Mount Laurel commercial properties for lease or sale through our Southern New Jersey commercial real estate brokerage firm. Wolf Commercial Real Estate, a Mount Laurel commercial real estate broker with expertise in Mount Laurel commercial real estate listings and services, is offering well-located office space for lease in Mount Laurel in three customized office suites at 532 Fellowship Road Mount Laurel NJ. Suite 1 of this Mount Laurel office space for lease provides 2,751 square feet, Suite 2 offers 2,645 square feet while Suite 3 provides 2,571 square feet. Suites 1-3 are contiguous for a total of 8,625 square feet and, in addition, Suite 3 of this office space for lease in Mount Laurel features a theatre-style conference room. The asking lease price for this office space for lease in Mount Laurel at 532 Fellowship Road Mount Laurel NJ is $12.00 per square foot NNN. This Mount Laurel office space for lease is available for immediate occupancy from Wolf Commercial Real Estate, the foremost Mount Laurel commercial real estate brokerage firm that specializes in Mount Laurel commercial real estate listings and services. This office space for lease in Mount Laurel at 532 Fellowship Road Mount Laurel NJ is adjacent to Aloft Mount Laurel Hotel, Miller’s Ale House and Starbucks. It also is surrounded by an abundance of hotels, restaurants, retailers and banking locations. The location of this Mount Laurel office space for lease allows for easy access to Routes 73, I-295 and the New Jersey Turnpike. This office space for lease in Mount Laurel is locally owned and managed and provides tenants both suite and monument signage. This Mount Laurel office space for lease at 532 Fellowship Road Mount Laurel NJ is available through Wolf Commercial Real Estate, a Mount Laurel commercial real estate broker with expertise in Mount Laurel commercial real estate listings and services. On average, more than 46,000 vehicles per day drive through the intersection of Route 73 and Fellowship Road near this office space for lease in Mount Laurel. 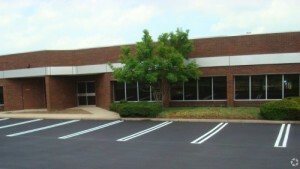 Parking is plentiful at a ratio of 9/1,000 sf at this Mount Laurel office space for lease. More than 180,000 individuals live within a five-mile radius. For more information about this Mount Laurel office space for lease at 532 Fellowship Road Mount Laurel NJ, or about any other Mount Laurel commercial properties for sale or lease, please contact Jason Wolf (856-857-6301; jason.wolf@wolfcre.com) or Christopher Henderson (856-857-6337; chris.henderson@wolfcre.com) at Wolf Commercial Real Estate, the leading Mount Laurel commercial real estate brokerage firm. 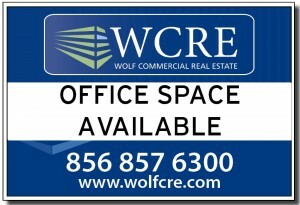 Wolf Commercial Real Estate, a leading Mount Laurel commercial real estate brokerage firm that specializes in Mount Laurel commercial real estate listings and services, is offering prime Mount Laurel office space for lease in the Horizon Corporate Center at 2000 Crawford Place Mount Laurel NJ. This centrally located Mount Laurel flex space for lease has between 3,000 square feet and 9,390 square feet of both Mount Laurel office space for lease and Mount Laurel warehouse space for lease under one roof. There is 3,000 square feet of Mount Laurel warehouse space for lease in Suite 400 of this Mount Laurel flex space for lease and another 6,390 square feet of Mount Laurel warehouse space for lease in Suite 500. 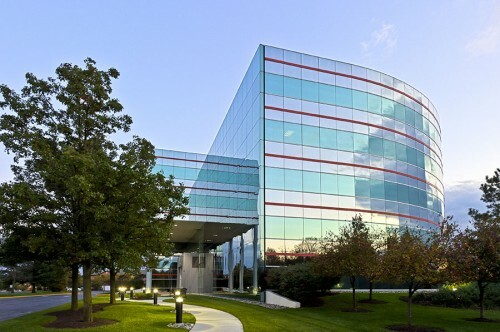 Suites 400 and 500 of this office space in Mount Laurel are contiguous. Suite 900 of this Mount Laurel flex space for lease in the Horizon Corporate Center at 2000 Crawford Place Mount Laurel NJ offers 5,293 square feet of office space in Mount Laurel. The asking lease price for this office space in Mount Laurel is $10.00 per square foot NNN. The asking lease price for this warehouse space in Mount Laurel is $5.00 per square foot NNN. This Mount Laurel flex space for lease is now available for immediate occupancy through Wolf Commercial Real Estate, a Mount Laurel commercial real estate broker with expertise in Mount Laurel commercial real estate listings and services. Locally owned and managed, this Mount Laurel office building for lease at 2000 Crawford Place Mount Laurel NJ sits in a beautifully landscaped corporate office park. This office and warehouse space in Mount Laurel features a new exterior facade. There is both suite and monument signage available to tenants at this Mount Laurel office building for lease. Located just off the Route 73 corridor, this Mount Laurel office space for lease is easily accessible from Routes 73, 70, 38, I-295 and the New Jersey Turnpike. 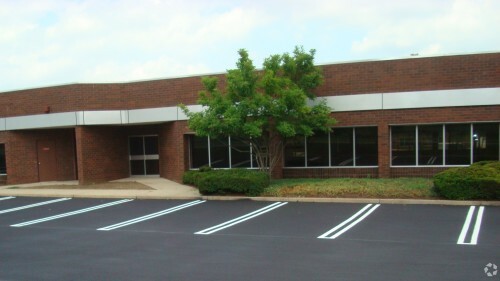 This office and warehouse space in Mount Laurel — which is available through Wolf Commercial Real Estate, a leading Mount Laurel commercial real estate brokerage firm that specializes in Mount Laurel commercial real estate listings and services — is located in close proximity to a multitude of hotels, restaurants, retailers and banks. With a ratio of 4/1,000 sf, parking is ample at this Mount Laurel flex space for lease in the Horizon Corporate Center at 2000 Crawford Place Mount Laurel NJ. More than 51,500 vehicles per day pass through the intersection of Route 73 and Pacilli Place at the entrance to this Mount Laurel office building for lease. Nearly 192,000 people reside within five miles of this warehouse and office space in Mount Laurel. The average household income within the same radius of this office and warehouse space in Mount Laurel is $103,736. For more information about this Mount Laurel office space for lease in the Horizon Corporate Center at 2000 Crawford Place Mount Laurel NJ, or about any other Mount Laurel commercial properties for sale or lease, please contact Jason Wolf (856-857-6301; jason.wolf@wolfcre.com) or Leor Hemo (856-857-6302; leor.hemo@wolfcre.com) at Wolf Commercial Real Estate, the foremost Mount Laurel commercial real estate broker. Wolf Commercial Real Estate, the foremost Mount Laurel commercial real estate brokerage firm with expertise in Mount Laurel commercial real estate listings and services, now has available Mount Laurel office space for lease in the Mount Laurel Office Center at 530-532 Fellowship Road Mount Laurel NJ. This conveniently located professional office space in Mount Laurel is well suited for virtually any professional or medical users. This Mount Laurel professional office space for lease has a total of approximately 14,293 square feet of office space in two buildings. The Mount Laurel office building for lease at 530 Fellowship Road Mount Laurel NJ has one suite with 5,668 square feet of Mount Laurel office space for lease. The Mount Laurel office building for lease at 532 Fellowship Road Mount Laurel NJ features three suites for lease. Suite 1 has 2,751 square feet of office space; Suite 2 offers 2,645 square feet; and Suite 3 provides 2,571 square feet in a theater-style conference room. The three suites available in the Mount Laurel office building for lease at 532 Fellowship Road Mount Laurel NJ are contiguous, totaling approximately 8,625 square feet. The asking lease price for this professional office space for lease in Mount Laurel at 530-532 Fellowship Road Mount Laurel NJ is $12.00/sf NNN. This Mount Laurel professional office space for lease in the Mount Laurel Office Center is available for immediate occupancy from Wolf Commercial Real Estate, a Mount Laurel commercial real estate broker that specializes in Mount Laurel commercial real estate listings and services. Customized office suites are a key feature at this Mount Laurel office space for lease at 530 Fellowship Road Mount Laurel NJ and 532 Fellowship Road Mount Laurel NJ. Locally owned and managed, both monument and tenant suite signage is available at this Mount Laurel professional office space for lease. 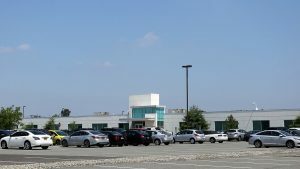 Neighboring tenants in the Mount Laurel Office Center include the Department of Homeland Security, the Social Security Administration and Honeywell. Parking is ample at this professional office space in Mount Laurel with a ratio of 4/1,000 sf at 530 Fellowship Road Mount Laurel NJ and a ratio of 9/1,000 sf at 532 Fellowship Road Mount Laurel NJ. This professional office space for lease in Mount Laurel is being offered by Wolf Commercial Real Estate, a Mount Laurel commercial real estate brokerage firm with expertise in Mount Laurel commercial real estate listings. Located across from The Westin Mount Laurel hotel and DoubleTree Suites by Hilton Hotels and adjacent to the Aloft Mount Laurel hotel, Miller’s Ale House and Starbucks, this Mount Laurel office space for lease is well-situated for easy access to Route 73, I-295 and the NJ Turnpike. This professional office space in Mount Laurel at 530-532 Fellowship Road Mount Laurel NJ sits in close proximity to numerous hotels, restaurants, banks, retailers and shopping centers, including Eastgate Shopping Center and the Moorestown Mall. There are more than 180,000 residents living within a five-mile radius of this professional office space for lease in Mount Laurel and the average household income in the same radius is $105,426. For more information about this Mount Laurel office space for lease in the Mount Laurel Office Center at 530-532 Fellowship Road Mount Laurel NJ or about any other Mount Laurel commercial properties for sale or lease, please contact Christopher Henderson (856-857-6337; chris.henderson@wolfcre.com) or Jason Wolf (856-857-6301; jason.wolf@wolfcre.com) at Wolf Commercial Real Estate, a Mount Laurel commercial real estate broker with expertise in Mount Laurel commercial real estate listings and services.